Anton Page, jointly with Allsop have been instructed to start marketing 14 Bonhill Street, Shoreditch – 31,000 sq. ft. of office space arranged over 9 floors. 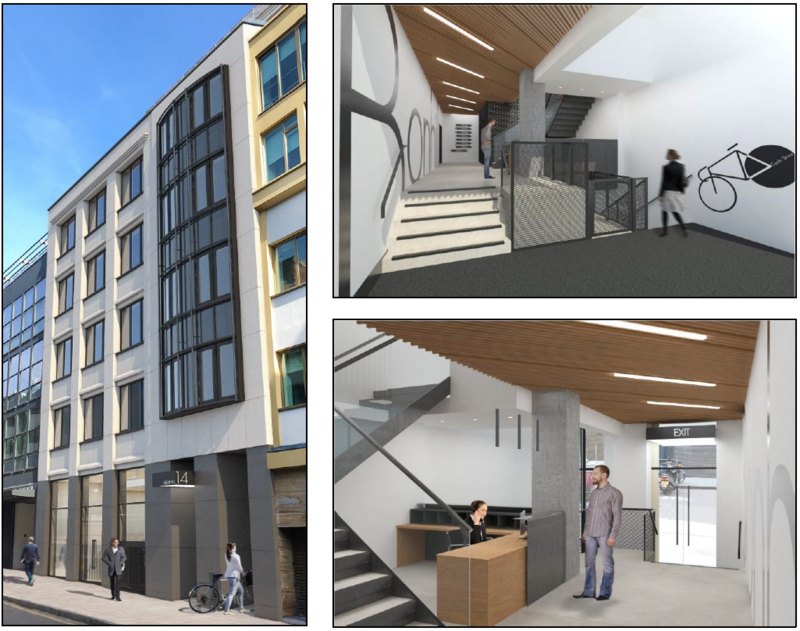 The building is currently undergoing a comprehensive refurbishment program to provide bright, 9media style office accommodation in a prime Shoreditch location. The area benefits from a number of bars and restaurants such as The Modern Pantry, Aviary, Fight Club and Barry’s Bootcamp and is also within close proximity to Google Campus, the new Amazon UK Headquarters and the new stage Shoreditch development, home to Shakespeare’s Curtain Theatre. Once the refurbishment works are complete, the floors will benefit from exposed brick, exposed services and great natural light throughout with a terrace at fifth floor level. The building refurbishment is due to complete in Q1 2019. Further information about the building can be found by contacting us.